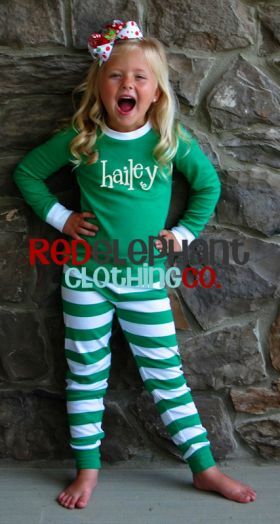 Our personalized kids Christmas pajamas in red stripe or green stripe are great for your girls and boys this upcoming holiday season. 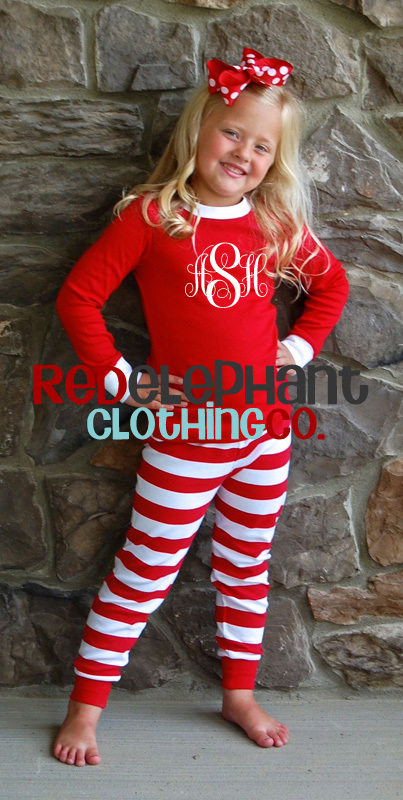 Start a new Christmas family tradtion with our classic monogrammed pajamas. These personalized Christmas pajamas are 100% cotton and are snug fitting. We suggest ordering true to size. 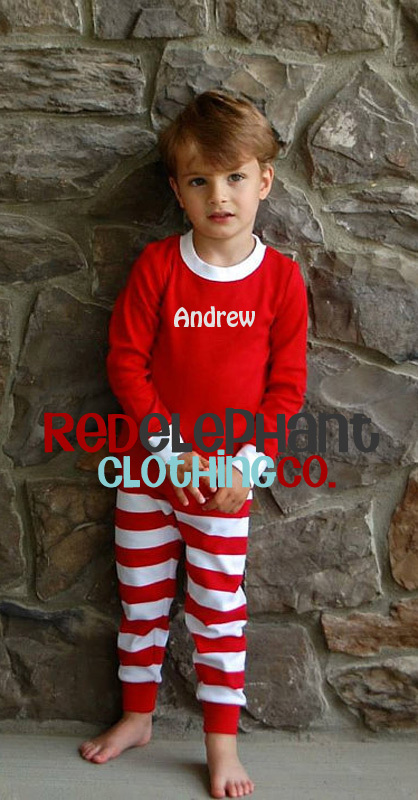 We will monogram your families new Christmas pjs with either a 3 letter monogram or embroider a name in a coordinating color. 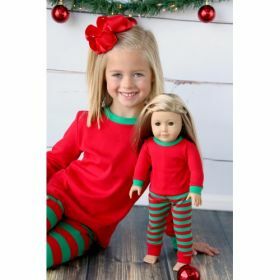 Ordered matching PJs with monogram to do Christmas pictures. My original package got lost but when I contacted them and they rectified the situation right away and got me my order on time. The PJs are adorable and sizes were accurate. This is the third Christmas in a row that I have purchased these pajamas and my girls always look so adorable in them.